Welcome to snowinq8.com! 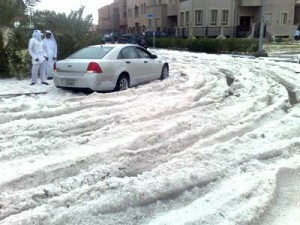 This is a blog about different issues that are happening in Kuwait particularly the snow fall. As all we know, Kuwait is known as a desert and it is a shocked revelation that many people witnessed the snow in the northern desert of Kuwait. Well, expert says that was actually hail and looked similar to snow. The last snow ever noted in Kuwait was dated March 30, 2009. I hope that my blog can help you in your Journey to Kuwait and I’m here to help with your questions. Feel free to ask anything within reason. I will also be sharing experiences and just random issues dealing with Kuwait both good and bad. We will also try our best to give you fast update in times when snow falls in Kuwait. Feel free to enjoy, share and be motivated.